According to the myths, a man must smell like a musky cream wood, while the lady should breeze like a blooming flower. However, the myth just evacuated with the launch of best unisex perfumes in the market. There are huge unisex perfume varieties that are equally best to be worn by both the genders. The unisex fragrance has the balanced kind of fragrance; neither too strong nor too feminine. They just have the right thing to be carried by both the genders. Why are unisex perfumes more popular? Economical: Economical? How? Of course, they are economical because you don’t have to invest on two separate fragrances. Just buy one unisex perfume and that would be enough for both of you to wear. Carry it on outings: so you are already having loads of stuff to carry for the outing and you are reluctant to carry more than just one perfume bottle in the bag. In such situations, unisex fragrances come to rescue. Just drop a bottle of it in your bag and you are good to go anywhere you want to. Best for all occasions: some of the best unisex perfumes are a perfect party type. In fact, they smell a lot better than any other regular scent-like The special blend of fragrances is generated to make the product more attractive and satisfactory. Which are those 15 best unisex perfumes? This perfume you would never forget to carry. The confidence of CK fragrance would create an aura of your personality. The typical recipe of this perfume is just balanced enough to reject all the fragrances that you have been using so far. Tom Ford Black Orchid might sound a little girlish because of the term “orchid” present in its name. However, when you would give a try to it, you would find a sensual vanilla smell that is really opulent. The perfume was launched in 2006 and stood amongst the best unisex perfumery products at that time. The bottle of the Valentino Uomo has a diamond cut all over. To define it more precisely, the look of the Valentino Uomo resembles the whiskey decanter. It would literally adore your dressing table and cabinet if you buy one. The sparkling perfume bottle carries the unisex fragrance of coffee, hazelnut, and bergamot. The leathery yet smooth fragrance emanating from you would turn heads when you would pass by. If you want to own a fragrance that is affordable and speaks on your behalf, Escentric Molecules Molecule is the answer for it. The aroma-molecule of the perfume carries woody notes that have phenomenal fragrance altogether. The Yves Saint Laurent Tuxedo fragrance is the outcome of the inspiration drawn from Yves Saint Laurent clothing. The combination of feminine edge along with the masculine tone is a thing that has actually compelled the buyers to rate the product. With the sharp black pepper smell amalgamated with patchouli, Yves Saint Laurent Tuxedo: is a must have for your home. Launched in 2005, Aesop Marrakech Intense is a new version of Australian brand Aesop. The scent belongs to the Moroccan city with an exotic woody and spicy blend of floral. The scent has a more of a classic and rich sage. It is definitely present in the wardrobes of the ones who have a love for the best unisex perfumes. The aromas of Indian spices would dramatically trickle your olfactory nerves. Besides, the peppery undertones would readily steal away your heart within the first usage. Byredo Black Saffron has the flashes of raspberry and juniper. It evokes the summertime exotic smell and makes it a perfect choice for the couples. The blissful looking Gucci Guilty Pour Homme might appear somewhat masculine because of its outer looks. But if you give it some time, you could feel the cool unisex fragrant mixture of lavender and lemon in it. The intense and citrusy feature of the perfume is musky and perpetuated in nature. The signature unisex scent of this perfume resembles patchouli, spicy wood, and frankincense. The sweet-sour undertone of Jo Malone Pomegranate Noir is good enough to save your time in hunting the ordinary gender specific perfumes. When you think of a fragrance that lasts, Kiehl’s Original Musk is the ideal thing to pick. The evolution of floral undertones and citrusy burst give a mild and strong smell together. The sensual perfume is one of the bestsellers in unisex fragrances. It is a perfect choice for all occasions and forms a perfect gift for a newly wedded couple. When you don’t want something common, Odin 10 Roam would impress you for sure. The budget friendly unisex perfume is idealistic for everyone to use. It has a light fragrance of an elite tone. The clean and long-lasting Odin 10 Roam deserves double thumbs up from everyone. The whisper of vanilla, decant amber and the power Oud makes Tom Ford Oud Wood as one of the most famous unisex perfumes ever. The seductive perfume would stay on your dress for hours and days. It will make you sensational with its evergreen smell. The notes of cedar, cumin, flowers, and transience make Le Labo Rose 31 a haven perfume altogether. Once you wear it, people will definitely ask the brand along with being a scent with a perfect unisex fragrance, Le Labo Rose 31 is also amongst the best unisex perfumes at the global level. The fragrance of the perfume is lingering and jovial enough for the routine carrying. Commodity book is certainly a value for money when you need the best unisex perfumes. The base note of commodity note consists of amber, eucalyptus, and cucumber. The small perfume bottle is unabashedly soothing. The perfume smell would make you fall in love with it within the first use itself! Considered amongst the premium unisex fragrances, Malin+Goetz Petitgrain is a perfume roll on extracted from orange tree leaves. 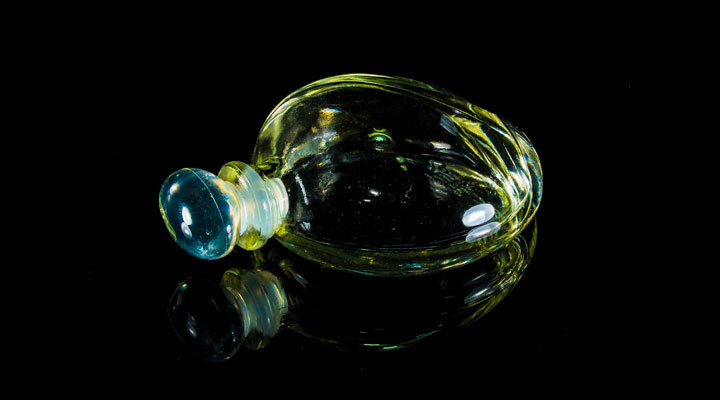 The perfume bottle has a slightly tinted glass with refreshing imprints over it. T Malin+Goetz Petitgrain is a royal treat to your nostril nerves. With a huge variety of irresistible a unisex perfumes, it becomes quite confusing to pick any one of all. Some unisex perfumes are too strong for women. Some fragrances are again too feminine for men to wear. But, if you want something sensual and ever-lasting, all the above 15 lists of unisex perfumes are editor’s hand pick for you after doing a very long research and survey. Oh my! A list of what I should give for my boyfriend’s birthday! Thank you! Having just recently gotten into perfumes, and have always just stuck with mists that are subtle, I did not know these brands or names were unisex. I think I will check them out, next time I need a new perfume. Thanks! I’m so intrigued by this! I would never have thought about getting unisex fragrances. Thanks for sharing! I’ll have to check some of these out. I guess I never thought of it this way. Good idea though! Who doesn’t love a good smelling fragrance?!? And if two of you can use it in your house, the better. Thanks for this! Was just talking about which new ones to try out with my hubby. I think he’d really enjoy some of these. I had ever thought about this option before… Such a huge convenience! Could you tell me if you know if any of these perfumes are cruelty-free and/or vegan? Thanks! ? For shops that are separated by gender, how would you find these? Some are obvious, like the Gucci scent is targeted towards the men. Very interesting ! This is such a useful article. Yesterday i thought to buy a perfume but drop the plan! And thank God i did not but it. Now i know which perfume to buy. All thanks to you?